My previous post, Here Are The Ten Downloadable Graphic Organizers I Use With ELL Beginners To Write A Story, was very popular, so I thought readers would find it useful if I shared my entire seven-week unit on writing a story. I hope you can suggest ways I can make it better. After a simple “Word Splash” (words that I pre-teach like “setting,” “theme,” “protagonist,” and “antagonist”), I use very modified versions of the WRITE Institute’s story unit as we read two books together: The Story Of Ferdinand and Teacher From The Black Lagoon. You can purchase a supplementary copy of that unit from the WRITE Institute for $20 here. We have copies of their full unit, but I only use a three of their graphic organizers (a protagonist/antagonist sheet, a sheet for listing words related to the five senses and a story map) – I’m sure you could create or find other versions (lots of story maps are here, a five senses sheet here, and protagonist/antagonist graphic organizers are here). Afterwards, we complete a story map. The most difficult part of that process is helping students understand “theme” and, to a lesser extent, protagonist/antagonist. So, after the story map is done, students create a poster identifying three of their favorite movies or stories and identify the theme and the protagonists and antagonists. Next, we read Teacher From The Black Lagoon using a similar process, without the “favorite spot” activity. Then we create a Story Map, without following-up with the theme poster. Next, students write their own stories, and that’s where my previously posted ten graphic organizers come in. After they complete handwriting their story, I have a short individual conference to provides simple suggestions (read about my thoughts on error correction at my British Council post, ESL/ELL error correction – Yes, No or Maybe? ), and then students type it in Word – the red indicator of errors is obviously very helpful. We conference again, and then students copy and paste it into our class blog. You can see them all here. Then, students record their stories using Speakpipe’s Voice Recorder. It says they only keep the recording online for a few months, but it’s the only stand-alone voice recorder that gets through our district’s content filters. Students record, past them onto our blog, and then I manually copy and paste them that night so it’s on the same comment as their story. Students then read each other’s stories and leave a comment. I fell down on the job here and didn’t originally do as much pre-teaching on commenting as I should have, and it shows. I followed-up the next day with more explicit support, which resulted in a better comment like this. Unfortunately, because of student absences, time constraints and the fact that I was out of class for a couple of days with district meetings, we couldn’t continue with the improved comments (they’ll have another chance later). Instead, at that point I provided students with this guide for their writing a second and longer story. I gave them the option of either revising their first story or starting from scratch. Students worked on their revisions/new stories, but we couldn’t get enough time in the computer lab for them to post all their creations on the blog – yet, at least. Now, we’re moving onto a series of fable lessons. These appeared in my latest book, Navigating The Common Core With ELLs. Fortunately, the publisher has made the lesson plan and all the hand-outs available for free download – no registration required! Just go to the book’s website, scroll to “Downloads” and click on “Fables Lesson Plan.” It teaches fables inductively and leads to students writing their own. I’m in the middle of doing these lessons now. The only change to the book’s lesson plan is that I have three more advanced beginners who, after having done part of the lessons, are now creating a collection of fables from their home countries that we’ll also study. Student-created fables will be posted on the class blog and we’ll try commenting again. Here’s the graphic organizer I’m having students use to create their own fables. So, that’s what we’re doing. Let me know how you think it can be improved! 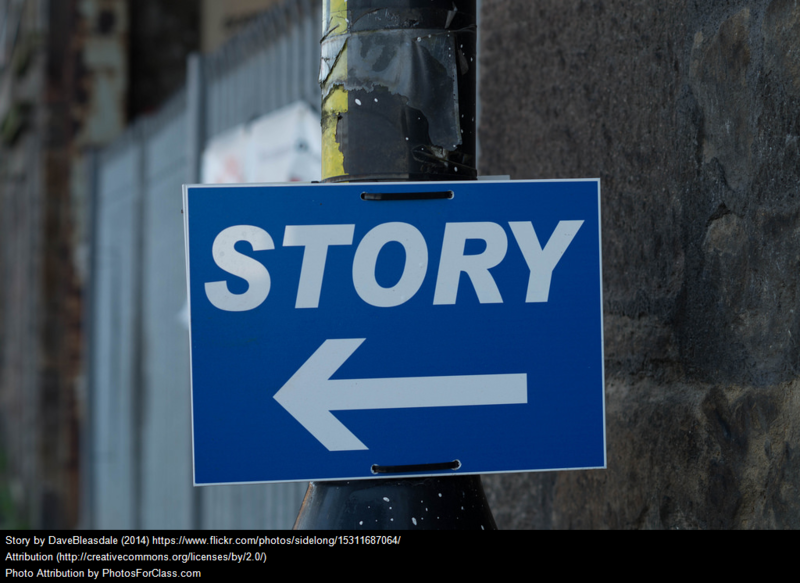 I’m adding this post to The Best Sites For Learning To Write A Story.